With a technology as impactful as machine learning (ML), it can be difficult to avoid hyperbole. Sure, billions of dollars in investment are pouring into ML projects. Yes, machine learning is a centerpiece of digital transformation strategies. And, to be certain, machine learning is often what people are talking about when they use the umbrella term “AI.” So it’s worth taking the time to look at real-world ML capabilities being developed and deployed at digitally nimble companies around the globe. 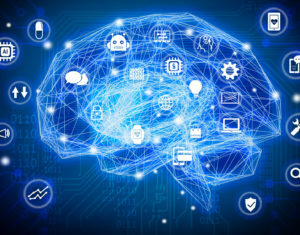 Essentially, AI capabilities allow a computer to analyze vast amounts of information and data to arrive at a “reasoned” conclusion about the subject at hand, simulating the human decision process, often with better decisions being made. While it is easy to define, the challenge has been the application of AI to everyday life. One successful application has been in the area of content matching and recommendations for streaming media, radically transforming the on-demand viewer experience. Rather than attempting to scale the “expert” human work necessary to classify, curate, and catalog content into consumable collections, machine learning has become a core staple in personalized content delivery. By analyzing user behavior, preferences, and more, streaming services can more accurately tailor recommendations and push targeted content with greater opportunity for monetization and engagement. Virtually every other industry is or should consider incorporating AI into their business models. You do not need to be a large company to take advantage of AI in order to provide better service to your customers—both at a lower cost and with better results. AI can help small and mid-sized businesses anticipate and fill customers product needs faster, improve inventory systems by incorporating Just in Time processes, reduce shipping and stocking errors, and facilitate the payment and collection process. Wherever you fall on the death disruption debate, we can all agree that aging is a challenging experience. Even if you don’t aspire to immortality, you likely recognize that increased joint pain and susceptibility to illness and injury will erode anyone’s quality of life. But deep learning (a subfield of ML) may be able to slow the aging process. Scientists are now using the technology to identify biomarkers associated with aging. Soon enough, a simple blood test could tell you which parts of your body are showing signs of wear and tear, and your doctor could help you mitigate, and perhaps reverse, those effects through lifestyle recommendations and medication. Up to 40% of a grocer’s revenue comes from sales of fresh produce. So, to say that maintaining product quality is important is something of an understatement. But doing so is easier said than done. Grocers are at the whims of their supply chains and consumer fickleness. Keeping their shelves stocked and their products fresh can be a delicate balancing act. But grocers are discovering that machine learning is the secret to smarter fresh-food replenishment. They can train ML programs on historical datasets and input data about promotions and store hours as well, then use the analyses to gauge how much of each product to order and display. ML systems can also collect information about weather forecasts, public holidays, order quantity parameters, and other contextual information. They then issue a recommended order every 24 hours so that the grocer always has the appropriate products in the appropriate amounts in stock. Businesses that implement machine learning in their replenishment workflows reduce their out-of-stock rates by up to 80%, along with up to 9% in gross-margin increases. Machine learning allows media companies to make their content more accessible to consumers through automatic captioning systems. Since implementing an automatic captioning program, YouTube has enabled 1 million functionally deaf Americans and 8 million hearing-impaired Americans to watch and enjoy its videos. As of 2017, its ML programs have become sophisticated enough to include captions for common non-speech audio, such as laughter and music, creating an even more complete experience for viewers. Although machine learning is generating unprecedented business insights, many organizations have failed to invest adequately in AI systems. For instance, McKinsey found that “the EU public sector and health care have captured less than 30% of the potential value” of big data and analytics. Organizations that want to avoid a similar mistake will need to ramp up their data science abilities—but so will workers who want to stay competitive in the job market. By 2020, there will be more than 2.7 million data science jobs, and the demand for workers who understand and can work with ML technology will only grow from there. Deep learning applications are especially impressive in the legal sector due to the nature of the language these programs must parse. Legal phrasing can be complex and difficult to decipher, yet deep learning systems are already capable of analyzing tens of thousands of vital documents. When legal teams needed to dissect contract clauses that upset their or their client’s business and invoicing processes, they once had to manually review stacks of rigorously prepared documents. Now, they can feed them into a program that works far faster than any lawyer and that can pick out important phrases for further analysis by the legal team. Improving risk prediction and underwriting is in everyone’s best interest, which is why machine learning is such a gift to the insurance industry. In auto insurance, for instance, ML algorithms can use customer profiles and real-time driving data to estimate their risk levels. They can then formulate personalized rates based on that information, potentially creating savings for both consumers and insurance companies. This process may be enhanced by even more in-depth analyses, in which ML programs pull in seemingly unrelated social media data to create a more precise profile. The insurance industry could use artificial intelligence to identify which policyholders are gainfully employed and which seem to be in good health. Theoretically, someone who is responsible in those areas of their lives will be a responsible driver as well. Intelligent Tutoring Systems (ITS) hold enormous potential for disrupting the classroom and helping students learn. These AI programs serve as virtual tutors, and they adapt their digital lessons based on each child’s strengths and weaknesses. Each time the student completes a task or quiz, a ML program processes that information to customize future materials. By “learning” a user’s unique needs and identifying which types of lessons are most effective for them, the ITS helps the student overcome learning challenges and retain more knowledge. Research indicates that students who use intelligent tutoring systems perform better on tests than their peers who learn via large group instruction. Compared to other developed countries, the United States spends more on health care per person than any other country without significantly better health outcomes. For instance, the U.K. spends less per person ($3,749 USD) annually on health care than does the United States ($9,237 USD). Despite its high spending, however, the United States does not have the best health outcomes—life expectancy, for example, is 79.1 years in the U.S. but 80.9 years in the U.K. The further development and application of AI in reducing the number of tests and helping to decide the appropriate treatment promises to reduce health care costs in the U.S. with potentially more accurate and lifesaving outcomes. Due to the high costs associated with health care and the significant benefits offered by better health care decisions, we are likely to see exponential growth in the application of AI to health care in the years to come. Modern artificial intelligence is finally delivering on its promise to help consumers and businesses make better decisions and improve their quality of life. Small and middle market companies embracing AI today will have a competitive advantage in the marketplace.